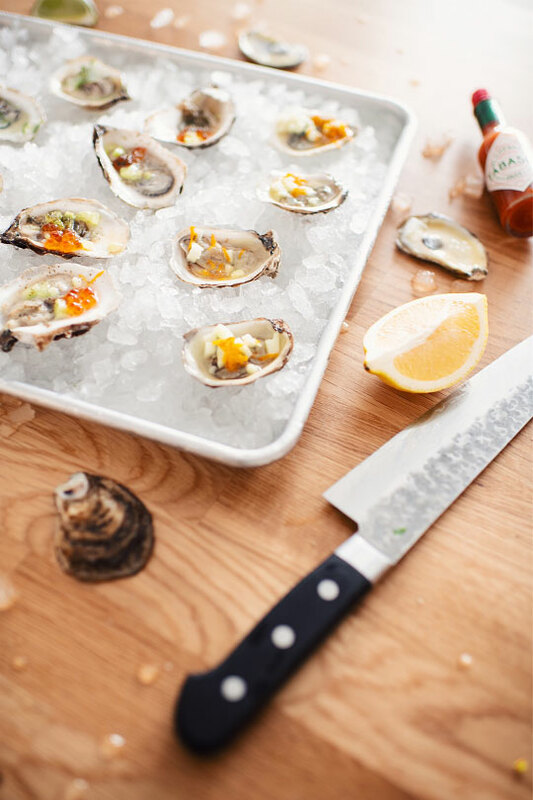 Here are 4 luxury toppings to accompany your oysters at your next party! Simple, effective and really good. They are all INCREDIBLY good and super quick to prepare so go ahead and try them all! 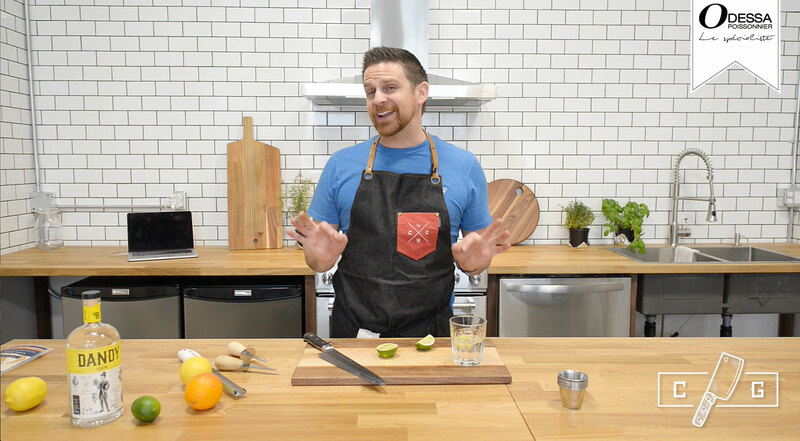 GIN AND TONIC: In a bowl, add the gin, the tonic water and the lime juice and mix. 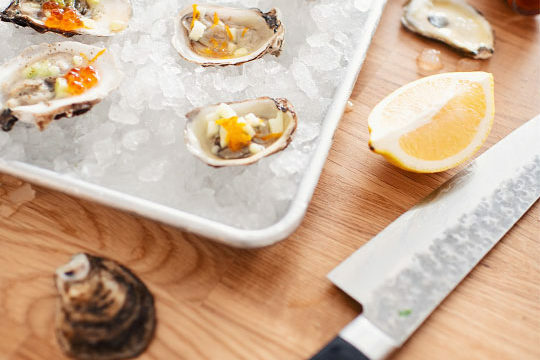 Pour over oysters and garnish with lime zest. KOMBU ROYAL: Add about 1/2 teaspoon brunoise cucumber followed by 1/4 teaspoon salmon caviar. Sprinkle with lemon juice and garnish with 2 to 3 pinches of seaweed. SPARKLING WINE: Add about 1/2 teaspoon apple brunoise followed by about 1/2 teaspoon sparkling wine. Garnish with lemon zest. CLASSIC MIGNONETTE: In a bowl, add all the ingredients then season salt and pepper. Mix and spread on the oysters. Nothing better than a good Chablis well balanced to accompany these oysters with luxury toppings. It's good, it smells like citrus and we want to drink 25 bottles, at least.